AI, the new secret weapon in the cloud photo-storage war. Okay, this title is probably a hyperbole. But all the big internet companies offer a way to store and share your photos online. And to make their offer more compelling Yahoo, Google, and Dropbox all recently bought computer vision start-ups that will provide image recognition for their user’s uploaded photos. While Yahoo bought LookFlow, Google bought DNNresearch. Microsoft is researching on image recognition for a long time and I am sure they will soon integrate some of their algorithms into their cloud products. And Facebook just founded an internal AI group. And to get a look into the future without having to upload all your photographs to the internet, try the iOS app Impala. The app will analyse and categorise all your photographs on your device. It was created by EUVision technologies, a spin off of the University of Amsterdam commercializing their research efforts. After the negative conclusion from my last post about the closure of Everpix these are positive news for the machine learning market. The end of Everpix, a sad week for photographers and machine learning researchers. 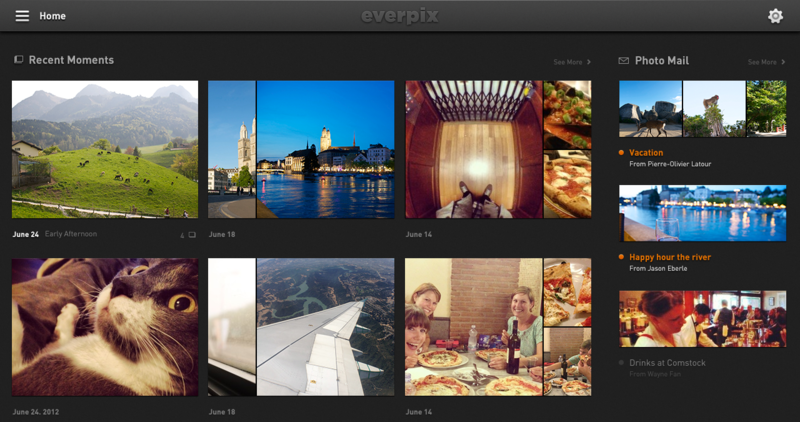 This week the photo storage service Everpix announced, that they will close down. They did not have enough paying costumers and could not find new investors. That is sad. Not only because it was the world’s best photo startup according to the Verge, but also because it was the only company besides Google that used new machine learning techniques to help people manage their photo mess. Their closure can be seen as an indicator that end users and investors are not ready yet to spend additional money on machine learning algorithms. Having read some articles and the associated comments[1, 2], it is clear to me that not their use of sophisticated machine learning algorithms but the daily ‘flashback’ email with pictures taken on the same day in previous years was the more popular feature. In fact, I did not even see one single comment about the algorithms that analysed the pictures. But maybe their algorithms were just not good enough. Unfortunately I could not try out their algorithms myself. My pictures just finished processing a few days before they announced to close down. But I found a comment of one of the founders on Hacker News, saying that they used a deep convolutional neural network with 3 layers for the semantic image analysis. This is the same technology Google now uses for their photo search. But they were unhappy with the results of the algorithm so in January this year they changed their approach as their CTO, Kevin Quennesson, explains in ‘To Reclaim Your Photos, Kill the Algorithm’. 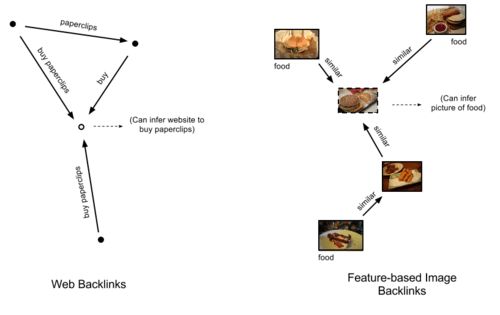 He writes: “If a user is a food enthusiast and takes a lot of food close-ups, are we going to tell him that this photo is not the photo of a dish because an algorithm only learned to model some other kind of dishes?” They found that the algorithm’s errors were not comprehensible for the end user. So they planned to change their system. As I understand it, their old system learned and used concepts independent of the single user. But the new system also uses pictures of the same user to infer the content of a new picture. He calls this “feature based image backlinks”. Regardless of the success of Everpix, I think using the context of an image more is a helpful and necessary approach to build systems, that will reliably predict the content of an image in the future. In any case I wish we would hear more about the underlying algorithms, what they tried, what worked and what not.